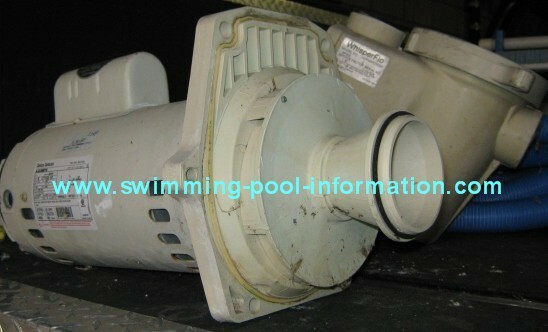 1000.00 Rebate on energy efficient pump! 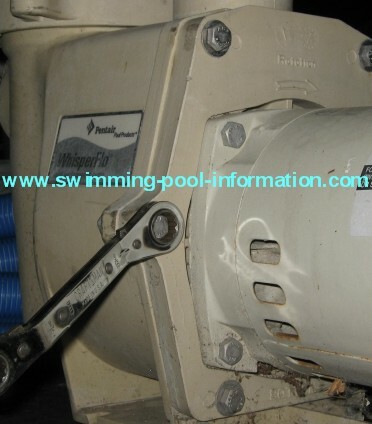 This particular pump is a Pentair Whisperflo Pump...but this guide can be used to show you how to change your spa or pool pump seal on almost any pump. 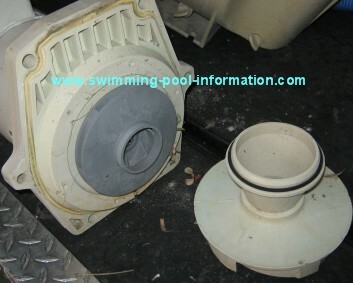 The first thing is to remove the bolts to remove pump housing. 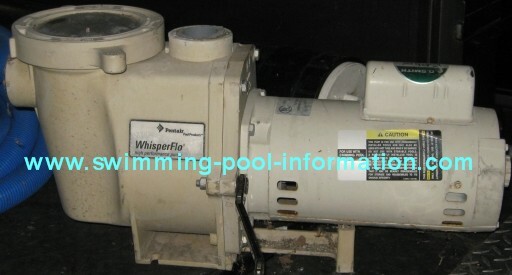 Some pumps may have a stainless steel clamp or perhaps a threaded ring to remove the pump housing. 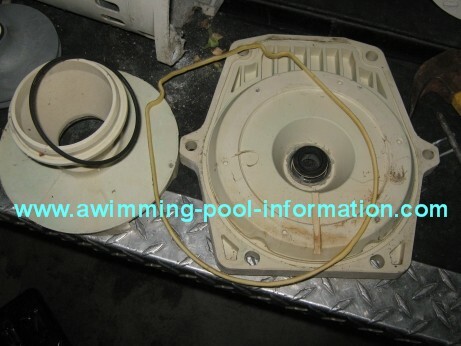 Normally,the pump housing would be connected to your plumbing....it stays in place,you simply slide the motor/impeller section back. Below the housing has been removed. Below that I am removing screws that hold diffuser in place. 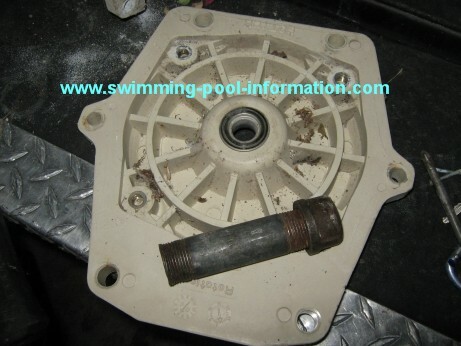 On this particular pump you can also use an Allen wrench-some pumps have Phillips screws. Below the diffuser is off revealing impeller...this pump has an impeller screw that must be removed...BACKWARDS THREAD!-clockwise to remove! Below,a wrench to hold the shaft while impeller is screwed off-in this case by hand. 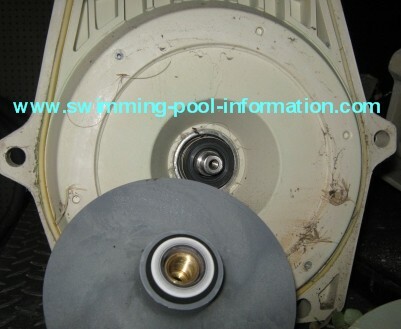 Some motors are not as easy to get to the shaft-you must remove back motor cover and a capacitor to get wrench to shaft-there is a photo of that type of motor in motors section. 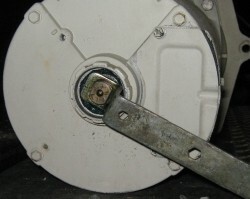 Below that the impeller is removed,revealing shaft pump seal. 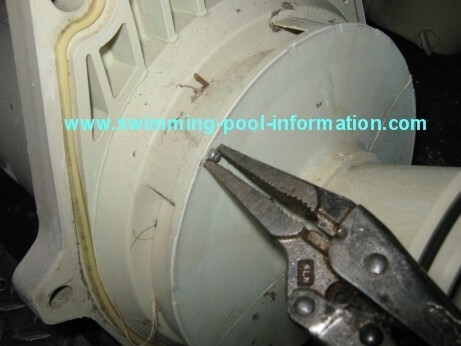 You can use a channel locks wrench to remove impeller,but be careful not to damage impeller-sometimes putting a rag on over impeller before using wrench or just buying an impeller wrench from your local pool store is a good idea. 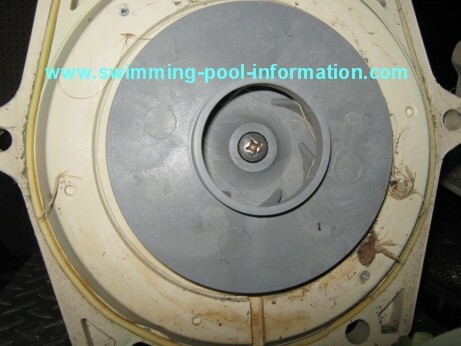 Below I am removing bolts that attach motor to pump seal plate-4 bolts this is universal in all residential pool pumps. Below that is my special seal removal tool-a 1" piece of galvanized pipe with a cap. 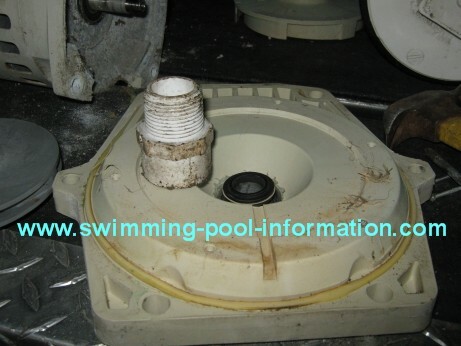 A few small taps with a hammer to remove seal from seal plate...make sure pipe is even on seal so seal comes out straight-the photo shows the back side of plate facing motor which is where to apply taps from hammer to pipe to remove seal. Below the new seals versus the old...the white is bright clean white,the black portion of the ceramic is shiny new. Below that is my special seal plate seal insertion tool-a 1" PVC male adapter-this time you tap from the other side of the seal plate. The PVC adapter pushes in the stainless seat of the seal without touching the ceramic seal. A bead of silicone glue is applied to recess in seal plate before tapping in seal-same goes for impeller a bead of silicone glue into recess before pushing seal into impeller. Make sure not to touch either side of ceramic seal with your filthy hands or get grime in between seal surfaces! 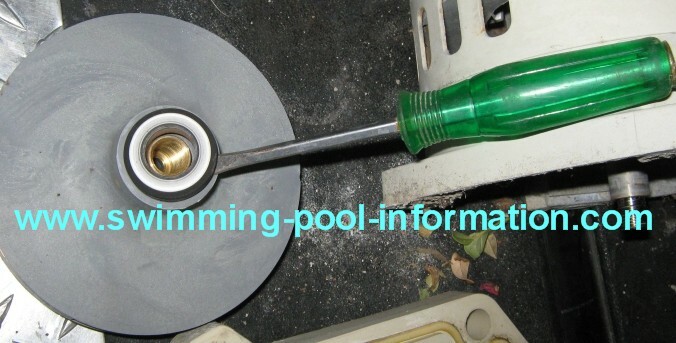 Also,the new seal comes with a paper instruction sheet-I use this to push white half of seal into impeller. 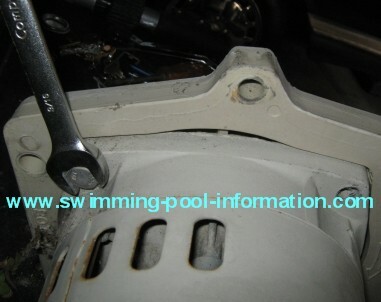 You might as well change the volute gasket(white) and diffuser o-ring(black) while you have pump apart. 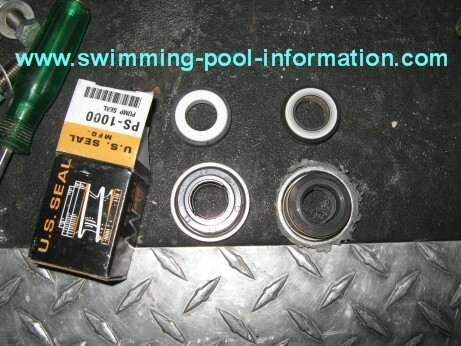 Here is a great tip: if your pump happens to be the pump pictured with this white gasket,stretching the bottom round portion of gasket SLIGHTLY by pulling will make inserting it into the seal plate much easier.